Whether you love it or hate it, the Burj Dubai, the tallest building on the face of the planet and the one the whole world has been anticipating, opens today in Dubai! Standing at least 160 stories high (the final height will be revealed at the inauguration ceremony), the controversial tower does not eclipse the world’s second tallest building, Taipei 101, by just a little – it is actually at least 1,000 ft taller (about the same height as the Eiffel Tower). 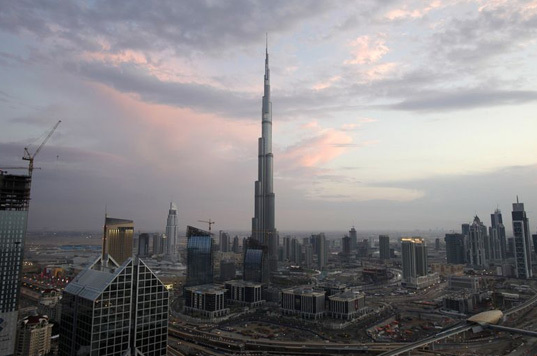 While we’re excited about the opening of this spectacular architectural feat, we’re still skeptical about the Burj’s efforts to green itself, as well as its elephantine carbon footprint. Housing a staggering 1,000 condos, an Armani hotel, 57 elevators, and a slew of other amenities, the Burj is a symbol of luxury and excess that do not seem in keeping with our sustainable goals or the humble times that the world is currently experiencing. However, there are some notable green features such as an 11-hectare green oasis surrounding the foot of the tower which will be irrigated using an innovative condensate collection system. Condensation from the building’s cooling equipment will be recovered providing an estimated 15 million gallons of water a year – certainly helpful when you’re operating a gigantic tower in the desert. We congratulate everyone involved in the opening of the Burj and hope that as the world’s most watched building, they take this opportunity to incorporate even more green features and set an example for future developments. And it seems the Burj (since then renamed) Khalifa tower will not stand be the tallest tower in the world for long now, as not far from Dubai, in Jeddah, Saudi Arabia a new tower is to be built which will overpass the Burj Khalifa - it is said to have around 1100 metres according to www.kingdomtowerskyscraper.com but that is not 100% sure. What it is sure is that it will be at least 1 km tall and the Dubai skyscraper will lose its title soon. IT IS THE BLESSINGS OF ALLAH THAT MEN COULD MAKE SUCH A BEAUTY ON THIS WORLD. BURJ KHALIFA IS A BEAUTY. 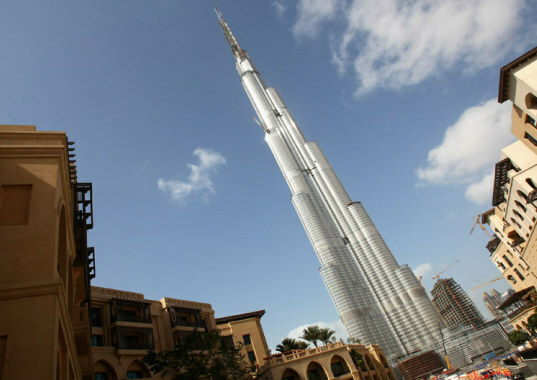 credit to Dubai,its realy wonderful,i wish i spend a night in this most high spearhead like structure. supertall skyscrapers does combat urban sprawl, in the expense of sustainability and going green.. before, going green was sort of optional, but nowadays it should be considered part of the design concept. nevertheless... this is epic. I've always thought that building up instead of out is environmentally friendly. It may take more power, and some other resources, but I'll take that over urban sprawl any day. Imagine how much land would be lost of all the square footage was spread out. Incredible! I'll have to see it before I call it beautiful. One thing for sure - it's certainly not green! Whether you love it or hate it, the Burj Dubai, the tallest building on the face of the planet and the one the whole world has been anticipating, opens today in Dubai! Standing at least 160 stories high (the final height will be revealed at the inauguration ceremony), the controversial tower does not eclipse the world's second tallest building, Taipei 101, by just a little - it is actually at least 1,000 ft taller (about the same height as the Eiffel Tower). 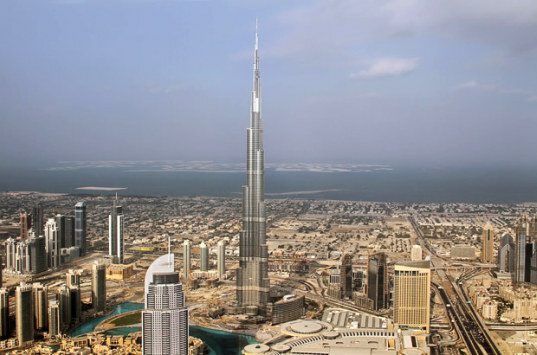 While we're excited about the opening of this spectacular architectural feat, we're still skeptical about the Burj's efforts to green itself, as well as its elephantine carbon footprint.